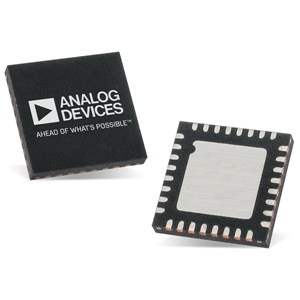 The HMC882A is a tunable MMIC low-pass filter that has an user-selectable cutoff frequency (f3dB), which can be varied from 3.95 to 6.9 GHz by applying a single analog tuning voltage between 0 V and 14 V. This low-pass filter has a low insertion loss of 3 dB, return loss of 13 dB, and over 20 dB of stopband attenuation at 1.28 x f3dB GHz. This tunable filter can be used as a much smaller alternative to physically large switched filter banks and cavity tuned filters. It has excellent microphonics due to the monolithic design with a low residual phase noise of -165 dBc/Hz, and provides a dynamically adjustable solution for advanced communications applications. The low-pass tunable filter is available in a 5 x 5mm LFCSP package and is ideal for satcom, space, military radar, electronic warfare and test & measurement applications.